The key to all western music. The Diatonic Scale is most familiar as The Major Scale or The Minor Scale. The Diatonic Scale uses 7 tones. You've heard - do, re, mi, fa, sol, la, ti before I'm sure. These 7 tones always sound the same in relationship to each other but there are 12 versions that change in pitch. You can sing do, re, mi, fa, sol, la, ti and then sing the same thing a little higher to get the idea. When you do sing it higher you will probably sing the next version a fifths higher than before. Imagen the first version you sing is in C. The next version that would sound best would be 5 tones higher at G Its kind of built in to how we humans hear western music and is explained by the Circle Of Fifths. 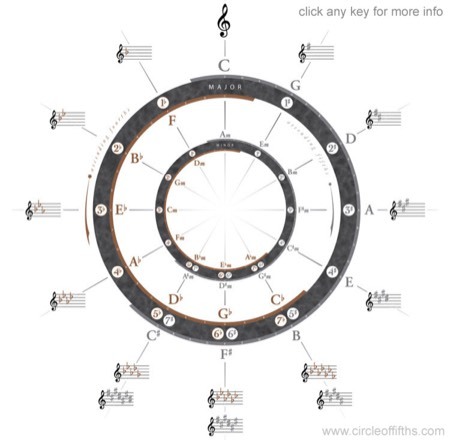 The Circle of Fifths shows the 12 versions of the Scales and there Key Signatures. 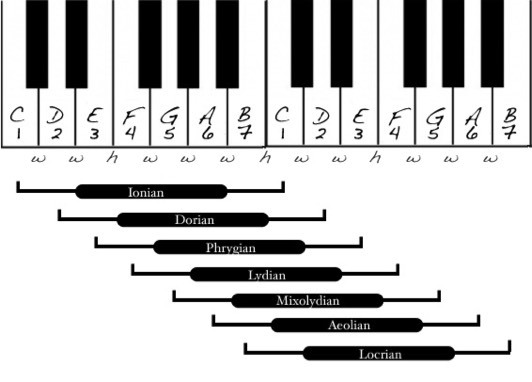 There are seven Modes in a Diatonic Scale: Ionian, Dorian, Phrygian, Lydian, Mixolydian, Aeolian, and Locrian. A Scale has 7 tones. 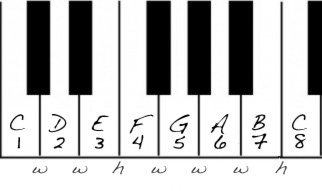 if we start on the first tone of the Scale and play up 7 tones we wold be in the first mode C, D, E, F, G, A, B, C. If we would play the same Scale but start on the second tone it would be called another mode of the scale D, E, F, G, A, B, C, D. Pretty easy!